German pharmaceutical and chemicals company Bayer AG, Israel-based drip-irrigation firm Netafim Ltd. and BGN Technologies, and the knowledge transfer company of Israel's Ben-Gurion University of the Negev (BGU), announced Wednesday that they have signed a three-year research collaboration to develop drip irrigation as a delivery system for Bayer’s chemical pesticide designed to kill plant-parasitic worms. The joint research collaboration aims to further develop a solution that utilizes Netafim's drip irrigation systems to deliver Bayer's chemical and biological crop protection products. Under the collaboration, data sets will be generated to calibrate prediction models for the application of crop protection through drip irrigation. The mutual research project will be carried out in BGU and Netafim facilities. Netafim was founded in 1965 in a Kibbutz in southern Israel. A pioneer of plastic-based, water-efficient drip irrigation systems, the company now operates in more than 100 markets worldwide through 29 subsidiaries. 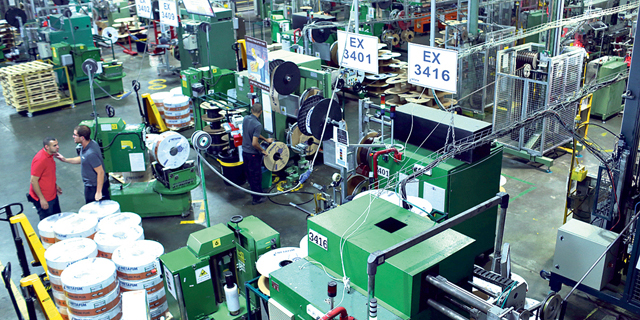 Netafim employs over 4,500 people throughout 17 manufacturing plants. In early 2018, Mexico-based pipes and chemicals company Mexichem SAB de CV acquired 80% of Netafim.